Set on the southern pacific coast of Costa Rica, this training intensive is a deep dive into the philosophy, practice and worldview of yoga. The first half of the retreat you will be soaking up and learning to embody the teachings of yoga. You enjoy being in the seat of a student. The second half of the training will be a strategic and meticulous exploration of teaching techniques, leadership skills and the business of teaching yoga. You will take the seat of the teacher and find your unique voice. You will emerge from this nourishing experience with lived experience of this ancient system and full of powerful tools to help share them in the modern world. Flō Retreat Center is a Health & Wellness Escape deep in the rainforest of South Pacific Costa Rica. Flō sits on 20 acres of secondary rainforest and used to house a small-scale cacao farm, so amongst the wild assortment of local flora, visitors will also see hundreds of cacao trees sprinkled throughout the property. 27 nights and days lodging in dorms (6 people per room), quads, triples and two double occupancy rooms rooms are available. Each room has A/C, Wifi and a mini-fridge. Linens, blankets, pillows and towels are provided for all guests. Each day you will enjoy 3 local, organic meals provided by our personal chef. Delicious raw, gluten free, vegan/vegetarian and fish/chicken meal options will be available and a variety of exotic fruit from Costa Rica will be served daily. Guests are encouraged to explore Flō’s expansive jungle trails, where they can play in SIX on-site waterfalls, a spacious river pool, and miles of winding rainforest paths. Plus, at just a quick 10-minute drive down the mountain (via 4x4 vehicle), Flō is only a quick stop from town, the many beaches of the South Pacific, and dozens of adventures, tours, and opportunities! Alaya Yoga School is a Registered Yoga Alliance School at both the 200 & 500HR levels. At the completion of your 200 Hour Training/Intensive, you will receive an Alaya Yoga School Teacher Training Certification at the 200 Hour Level. If you choose you can then register your certification with Yoga Alliance for your 200 Hour Registration. Our event will include a conscious, celebratory event on New Year's Eve including music and a cacao ceremony. Please bring white clothes to wear on this evening ceremony as well as any sacred items you wish to place on our collective altar. We will usher in the New Year with clear minds, opens hearts and dancing feet. 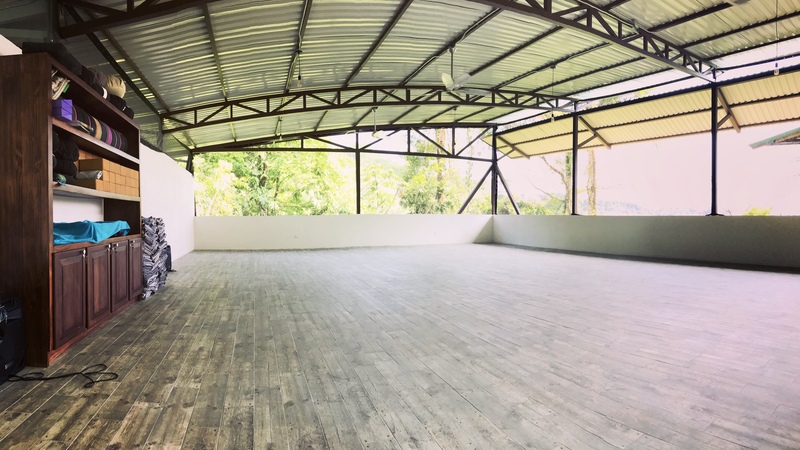 As much as we all love yoga we wouldn't want you to spend your ENTIRE time in Costa Rica inside a yoga classroom! To maximize your experience of one of the most bio diverse places on the earth, you will have weekends "off" where you are free to explore beaches, local towns, waterfall hikes, horseback rides, paragliding, zip lines and more. Growing up with a yoga teacher as her mother, Ashleigh began her exploration of yoga at an early age, dedicated to the pursuit of healing a lifelong spine condition. 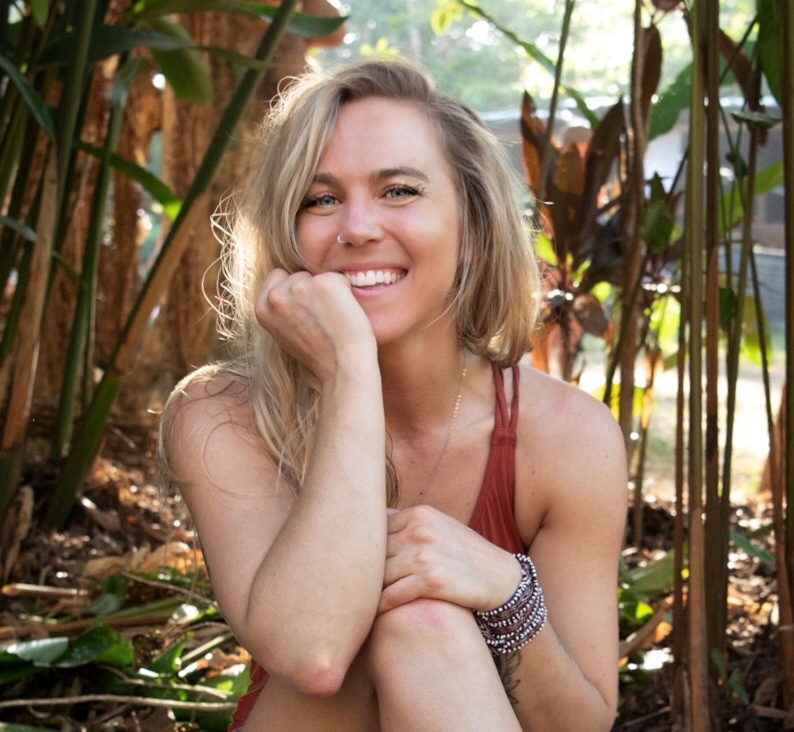 As the Head of Yoga Content for Gaia.com, Director of Yoga and Movement for The Envision Festival in Costa Rica, and co-founder of The Ālaya Yoga School, Ashleigh Sergeant also spent five years as the Global Yoga Trainer for Adidas and was honored to be the youngest Certified Anusara Yoga Instructor in the world. With more than 15 years teaching experience, Ashleigh’s first teachers include Bryan Kest and Baron Baptiste. She received her first 200-HR teaching certification at the Himalayan Institute, strongly influenced by Rod Stryker’s ParaYoga, something she continues to study. 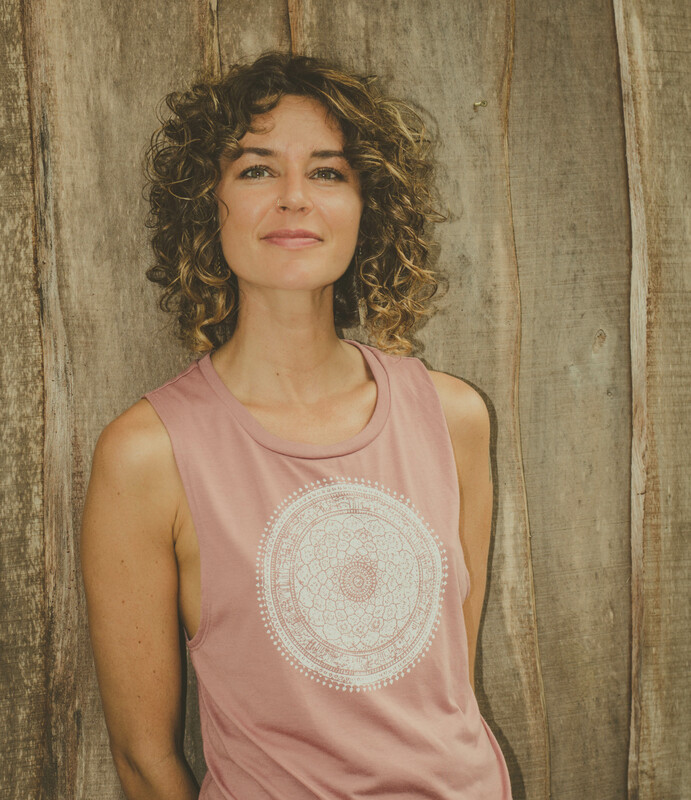 Today, Ashleigh brings thousands of hours of experience to her teaching, including the knowledge of therapeutic asana gained from traveling with and assisting John Friend, the founder of Anusara Yoga. Ashleigh’s present passion is the deep exploration of the mystical and energetic side of yoga practices. For this her primary teacher and long time inspiration is the great Sally Kempton. Voted one of 15 millennial yoga teachers to watch out for, Arielle Shipe is best known for her adventurous spirit and passion for personal development/growth which she shares on Instagram and YouTube. With over a decade of practice and nearly 1500 teacher training hours, the yoga tradition is the foundation for all the things she teaches and shares. Her motto is: Work Hard, Play Hard. Rest hard. Yoga is a multifaceted gem that is there to meet you wherever you need it most. In her classes you can expect to sweat, to smile, relax, and to start to uncover that there’s way more to yoga than downward facing dog. Join the Dream Life Revolution on Instagram @arielleshipe. Edgar Ortiz is a physiotherapist, body therapist and yoga instructor with more than 20 years of experience.He has offered yoga workshops and seminars throughout the world. He lived for more than a year between India and Thailand studying yoga in Rishikesh (with emphasis on Iyengar Yoga), in South India he studied Ashtanga (in Mysore) and Vini-yoga studies in Tamil Nadu (in Krishnamacharya Yoga Mandiram). His work is a blend of music, storytelling and a precise alignment, with deep internal intention to create an atmosphere of fun, willpower and surrender. Ashleigh is one of my favorite people to teach and be with. She creates a safe space for learning, but not sheltering you from the truth of your own body. Whenever I'm with Ashleigh I feel more confident within my self and more connected to my path of truth and service. Ashleigh’s teaching connects my body to my breathe, my heart-spirit to my mind. Opening, rejuvenating, and calming my entire being. Rooted in yoga's ancient teaching, inspiring through her modern experience and interpretation, Ashleigh’s classes not only give me a better understanding of the original ideas and philosophies of yoga, they also inspire me to try and embody these sacred thoughts in a modern life. Physically, Ashleigh’s classes take on a level of intuition and spontaneity that only the best teachers and guides I know can reach. Reacting and responding nimbly to the group dynamic of those practicing. Not leaving anybody behind while creating challenge and interest for the most experienced. We all reach our personal summit smiling and aware of the beauty in every step we've taken. Creating music through movement, mantras and meditation. Your classes sing to me. If you have more questions, please contact tish@followyourblisscr.com. Costa Rica is a country located in Central America that has unlimited tourist potential and is ranked as one of the most visited international destinations. It's no surprise Costa Rica is considered the "happiest place on earth." Once you land, you'll find it's easy to experience what CostaRicans have been talking about since 1956: Pura Vida - a phrase that truly encapsulates the friendly vibe of Costa Rica, and is used by locals and means everything from "Hello," to "This is the life!" If you're looking to fall into the "Pura Vida" lifestyle, check out some of the top activities and accolades. Costa Rica is considered one of the best and safest places for a solo traveler to visit. Although petty theft can happen and one should always be smart about leaving values unattended, violence is very rare. International visitors fly into the San Jose International Airport (SJO). Most places in Costa Rica, including taxi drivers and bus stations, accept $USD. Uvita is only a three hour drive from SJO. You may also opt for a short flight from San Jose to the Quepos Airport and drive an easy 60 minutes to Uvita. What else is there to do during free time? Besides the planned retreat activities you will be able to relax in your room, swim in the onsite pool and jungle walks to lush waterfalls. For more adventure we can help you book trips to the beach, local town excursions, paragliding, zip line, waterfall tours and more. Here are some items we recommend you bring with you. Please also visit the Flō Guest Portal (link above) for a more comprehensive list. Sunscreen. It is very expensive here and not as effective. Costa Rica uses the US dollar and Costa Rican Colones (the local currency) Most places do not take credit cards so it is best to have cash. It's best to carry cash in denominations of $1.00, $5.00 and $10.00 as the vendors often do not have change. You can also withdraw money using your debit card from bank ATM's. Flō's private chef will handcraft every exceptional meal during your retreat stay. All meals specialize in local, organic gourmet cuisine. There will be wireless internet available but we encourage you to take this time to unplug. You may want to ask your phone service provider about an international plan if you will be calling internationally. WhatsApp and Skype and Facetime are recommended for no cost calls via wireless. Tuition doe NOT include: Transportation to/from the retreat center, sales tax and credit card processing fees. A 3% processing fee will be added to all payments. Early Bird Rate is on a first come first served basis, once paid in full. A $1500 deposit will reserve your spot in the training. However, you will not receive the EARLY BIRD rate until you've paid in full, and unless you are one of the first 6 people to Pay in Full for a Dorm, or FOUR people to Pay in Full for a Cacao Cabina. ALL payments made after July 15th will be the FULL PRICE and are due by October, 15th. If cancelled in writing 60 days prior to the training, a full refund (less the $1,500.00 deposit) will be issued. If cancelled in writing between 31 and 59 days prior to the training, and 80% refund (less the $1,500 deposit) will be issued.